Day 9 of the 12 Days of Christmas Movies that have fun special fx. 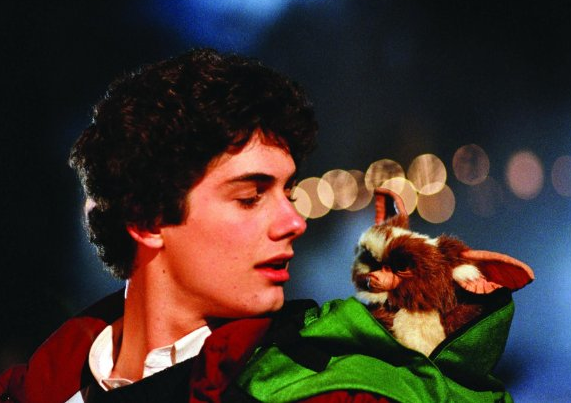 Todays pic is Gremlins (1984). Gotta love the little creepy, cuddly, scamps that came around just in time to terrorize us for the holidays. Of course they start out innocent enough. 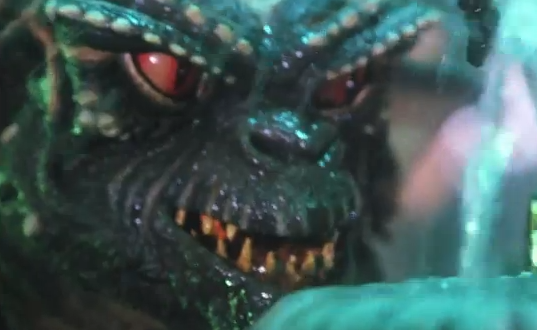 Apparently for Gremlins, plain water is like sperm and eating after midnight doesn’t just make them put on a few pounds. I loved this movie when it was first released and watching this movie again as an adult, I notice the puppet wires, but that doesn’t make it any less entertaining. Synopsis: A Christmas gift turns ugly when the new furry pet gets wet. Making a movie like this was no small feat, especially back in 1984. 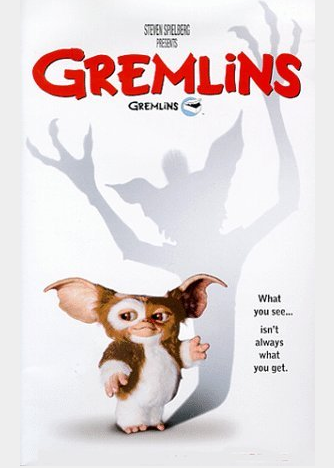 Here is a list, from IMDB, of makeup/special fx artist whose work made Gremlins so darn fun. Thanks for all the hard work guys! Video from movieclips.com featuring Zach Galligan and a very young Corey Feldman.